Affiliates or publishers are at the core of affiliate marketing. They are third-party marketers that promote brands relevant to their audience. What makes affiliate marketing unique is that it is an acquisition marketing channel where brands pay only for results. This means a brand’s customer must take an action (i.e. registration, purchase, transaction, referral) before the third-party marketer or publisher gets paid. Data delivered to Share Results’ database as pending authorization from advertiser. 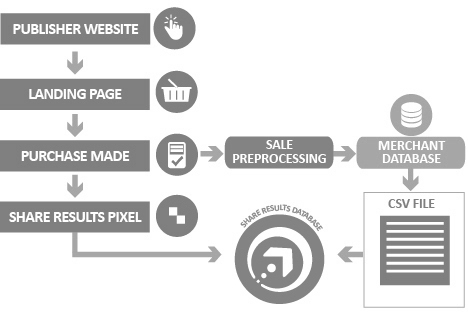 When a publisher generates transactions or leads, data pertaining to this transaction is captured on the advertiser’s site and information is sent to the Share Results servers through a tracking pixel and stats are displayed in real time. They are uploaded into the affiliate tracking system via a csv file. Batch filing allows the advertiser to perform their own validation or post-sale processing operations before submitting the final data. Batch filing and pixel tracking can be combined for bulk approval tracking. This allows transactions to be displayed live, with the added control of being approved daily via the batch filing option. Our software supports a wide range of creative, including: widgets, dynamic links, feeds to easily triggered flash deals and coupons. Ability to categorize specific partners into separate groups and assign distinct commissions to those unique partners. Communicate directly with publishers through the built Message Center. This allows advertisers create program-specific communications or network-wide automated messages, as well as send private messages to individual publishers. 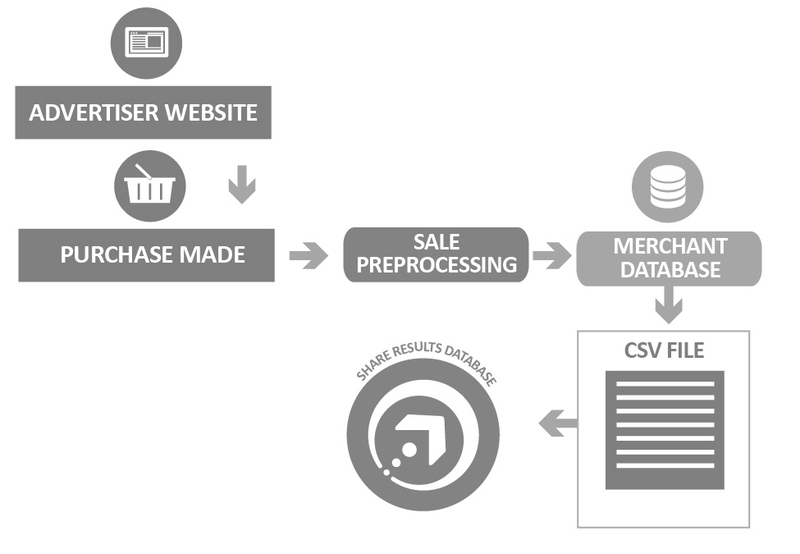 Customer IDs and order IDs are provided in detailed reports allowing you to easily cross reference sales data and review transactions in pending status before commissions are triggered. Generate and export lists of subscribed publishers. Only subscribers opted-in to receive messages will appear, ensuring compliance with anti-spam regulations. In line with anti-spam legislation, our software allows publishers to click an “Unsubscribe” link displayed in system email messages automatically updating their subscription status. Tailor the Share Results software to match your company’s brand down to color schemes, logos, terminology and more. Upon logging in, you can view a quick snapshot of your online business with graphical charts and statistical data in real-time, pending message alerts. Set up your platform using our multilingual capabilities. You have the option of setting up multiple languages for your publishers including English, French, Spanish and more. Apply one or a combination of commission models including CPA, CPL, revenue share on flat or tiered commission structures. Issue exclusive commissions to individual or specific publisher groups and offer performance-based rewards such as monthly bonuses applied manually when needed. 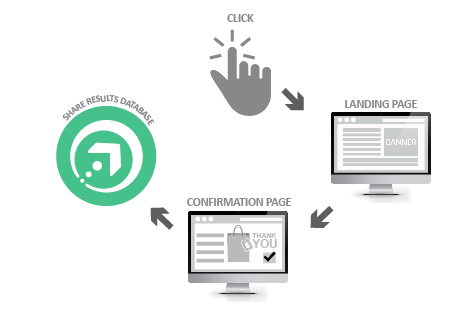 Our detailed and transparent reporting allows publishers and advertiser a clear understanding of commission earned. Generate invoices to make payments with ease. Effortlessly generate all of your previous payment period details. Your financial team will love our easy-to-use payment model offering flexible payment options as well as multiple payment methods and currencies. If you have a unique system in place to process payments, we can adapt to your needs. Let us know and we’ll be more than happy to accommodate your payment processing needs! Access real-time data to identify sales, trends, consumer behavior, and affiliate performance on a daily, weekly or monthly basis. Publishers can add a custom parameter (such as a keyword, or an alpha or numeric variable) to their tracking links to enable more targeted tracking. Search criteria fields give affiliate managers the tools needed to quickly look-up and find publishers based on targeted information such as location, transactions generated, website name and more. Leverage our team’s expertise in the financial services market and extensive relationships with North American affiliates. We manage the day-to-day activities including campaign management, affiliate recruitment and communications to allow your team to focus on your other key channels. Our expert team will support your planning and decision-making each step of the way. We will put together a tailored strategy based on your business goals and work together with your team to grow a profitable and successful affiliate program.